Injured workers may be eligible for a “light-duty job”. 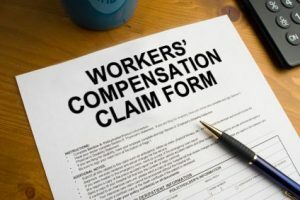 The attorneys with Althauser Rayan Abbarno offer FREE workers’ compensation consultations in Olympia and Centralia to make sure you know all your rights and receive all your benefits. Injured workers may be eligible for time-loss, loss of earning power, permanent partial disability, pension, vocational benefits, and even a light-duty job offer. An employer can request that an injured worker, entitled to time loss benefits, be certified by their medical provider to perform available work (other than the job of injury). 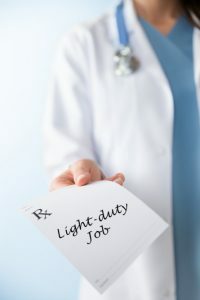 A valid “Light-Duty Job Offer” from the employer, must be provided to the medical provider, and include a statement describing the work “in term that will enable the medical provider to relate the physical activities of the job tot he worker’s disability.” In other words, the attending physician for the injured worker must “sign off and agree” that the injured worker can perform the light-duty job. Injured workers should not be bullied to return to work too soon and jeopardize their recovery. Only the attending physician can certify that an injured worker can perform “Light-Duty Job” activities. A certification from an (IME) doctor or independent medical examiner is not sufficient. If the injured worker accepts a “Light-Duty Job Offer,” time-loss benefits will terminate and the injured worker will be paid according to the “Light-Duty Job Offer.” If it is later determined the injured worker is unable to continue the “Light-Duty Job,” time-loss benefits will resume.